Deciding to take a gap year abroad can feel like a big commitment of time, energy, and finances, but gap year alumni are more likely to experience both higher levels of college success as well as lasting job fulfillment following their time abroad. Unfortunately, as of 2017, the majority of participants on gap year programs are predominately white, female students from middle and higher socioeconomic backgrounds. Students of color, first generation college students, immigrant students, and male students continue to experience inaccessibility and underrepresentation. To help make this valuable experience more attainable and accessible, the Gap Year Association has researched certain barriers to equal representation in gap years, as well as some tools and strategies for overcoming them. Gap years can be expensive. That said, there is lots of support out there if you actively seek it out. If you are already accepted at a college or university, ask about whether you can get financial aid for your gap year. Your college's financial aid office may know about scholarships and grants that you are eligible for. Research both program-specific and general scholarships or grants. There is a whole category of educational travel scholarships, such as The Council on International Educational Exchange, GoOverseas, GoAbroad, and Volunteer Forever. Reach out to your community. Your church, or a local business may be willing to sponsor you - perhaps in exchange for including them in your social media posts or blog about your experience. Gap years are not as representative of students of color or students with disabilities, which can be isolating. 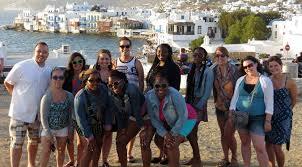 If you are a prospective gap year student, seek out alumni to share their experiences. Your college/university may have a gap year club that will connect you with alumni. Ask about the benefits of a gap year, but also about potential challenges and advice they can offer. Share! Write essays and circulate your stories through social media and beyond, and connect with others who are having a similar experience. Blogs like Oneika the Traveler can provide important perspective and connection if you are feeling isolated. It's natural that your family may be worried about the costs, benefits, and potential risks of venturing abroad on a gap year, and they may be especially concerned that you won't go to college afterwards. Contact your gap year program with lots of questions. Make sure to ask how they support their underrepresented students, and about the benefits of taking a gap year - particularly in terms of future college and professional success. Talk to an alumni of the program or a family member of an alumni. They may have useful advice for how to talk to your family about your decision. In preparation for her semester abroad as a person of color, a student once remarked: “I know how to deal with the racism at home; I don’t know what to expect abroad.” It can be difficult to know how to brave these unknown environments as an underrepresented student; and these concerns can be stifling. Ask gap year programs about their policies and procedures for responding to incidents of discrimination, and make sure they offer plenty of support and protection. Make a strategy with your gap year program on how to stay safe and protected, and make sure you know what to do and who to contact if something should happen. Ask for examples of what to expect in terms of racism and discrimination, or lack of mobility or accessibility. Ask about the country's laws, and how the program plans to help alleviate any mobility or discrimination challenges. Talk with alumni who can share their first-hand experience; ask about their experience with safety and discrimination, how to prepare for going abroad, and any other advice they would share. Adapted from the Gap Year Association.